New Board Chair and Director of Programs at Paradox Sports! The Paradox Sports Team continues to shift and grow, and we are excited to announce two important new roles for these individuals who have played crucial roles for Paradox Sports for several years: Trinity Wells and Dave Elmore. Trinity Wells joined the Paradox Sports Board of Directors in May 2015, and served as the Board Treasurer for the last two years. She actively engages in the long-term vision for Paradox Sports, leadership development and financial sustainability of the organization. We are thrilled that Trinity has transitioned into the role of Board Chair! Trinity has made a career of leveraging financial analysis to facilitate strategic discussions for clients in the technology, government and nonprofit sectors. She began her career in investment banking (George K. Baum & Company, 2006 – 2013), structuring over $1 billion in capital project financings for education and nonprofit institutions. Now she works as an independent financial consultant (TJL Consulting LLC, 2013 – present) helping clients strategically navigate and manage growth, acquisition or change. Prior to joining the Paradox Sports board in 2015, Trinity served on the boards of two wilderness-focused nonprofits – cityWILD (Denver, CO), which provides at-risk youth with wilderness service learning opportunities, and Pacific Biodiversity Institute (Winthrop, WA), which focuses on land preservation in South America. As a volunteer on a Paradox Sports climbing program, Dave was inspired by the mission and community. Subsequently, Dave joined the board of directors in 2014 to spearhead leadership transitions, risk management and strategic planning. After four years of serving on the board, including three years as Board Chair, Dave joins the Paradox Staff as Director of Programs. We are excited to integrate Dave’s decades of program experience and a desire to lead Paradox Sports programming as it relates to strategic planning. A native of the Pacific Northwest, Dave attended the University of Oregon earning a B.S. in Psychology and minor in Environmental Science, while participating in the Outdoor Leadership Program. Upon graduating Dave began teaching and guiding for the Pacific Crest Outward Bound School, ultimately working with Outward Bound for fourteen years as a educator, staff trainer and program leader. Dave has served as Patagonia Program Director, Environmental Resource Director, Director of Programs and Safety and is a co-founder of Mountain Professionals, where he has served as lead guide for international expeditions around the globe. Most recently Dave served as an experiential education school leader and volunteer for local non-profits. As an avid climber of sport, alpine and big mountains, you can find Dave traveling the globe in search of adventure. Dave holds a M.S. 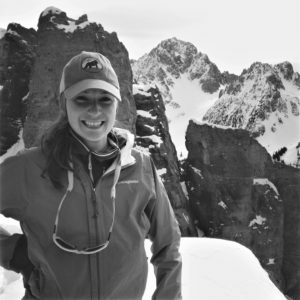 from Denver University in Natural Resource Management, a WFR, AAIRE Level II certification and has participated in the AMGA Alpine guides program.